We are always ready to communicate, commune with you. In fact, we are constantly communing/communicating with you, as we are ONE with you and ONE with each other. While wearing your physical earth vessel, you may experience that there are times that we are ONE and times that we are not. However, since we resonate beyond the frequency of time, we are always ONE within you NOW. One of the most difficult adjustments to your fifth-dimensional SELF will be to release of the illusion of time. This challenge is exceptionally difficult for our Masters in the bigger cities, which are ruled by time. On the other hand, societies who work with the land will not have that difficulty, as they already live within the flow of Gaia’s NOW. Therefore, we request that you connect deeply with Gaia. Soon the landings will begin in earnest. The landings will not be in areas but in people. In other words, people will begin to flow more easily into the NOW. Once in the NOW, which is a fifth dimensional and beyond a state of consciousness, you will begin to remember your galactic and celestial consciousness. Thus, you will begin to remember more of your galactic and celestial memories. In other words, you will begin to awaken to your true SELF. All of you chose to send a fragment of the essence of your galactic and/or celestial consciousness, genetic coding, and, therefore, memory into the higher consciousness of your earth vessel. As your consciousness expands into the fifth dimension and beyond, you will increasingly remember that your galactic/celestial SELF is a higher dimensional component of your physical self. Some of you are predominantly representing the Angelic Kingdom and others are predominantly representing the Galactic Federation. The Galactics and Celestials work as ONE within the fifth dimension and beyond. Therefore, the bonding of the earth-bound galactic and celestial representatives will greatly assist Gaia. As our “away team” to Earth re-unites with their own higher expressions of SELF, they will be able to share the unity of multidimensional consciousness with other grounded Celestials and Galactics. In this manner, you will create a very powerful multidimensional energy field. By uniting this energy field with physical Earth, you greatly assist Gaia. The order of these expressions of unity is not important, as “order” is a third-dimensional term. As your consciousness resonates more and more to the fifth dimension, you are finding that many physical concepts are becoming obsolete. In this manner, there is a stairway of Unity Consciousness. This stairway begins by remembering that you are a Multidimensional Being who is ready to connect with the ever-expanding expressions of your SELF. This decision to consciously unite with your galactic and/or celestial energies, as well as to ground that expanded energy field in the body of Gaia, is the first step towards assisting Gaia with Her ascension. Remember, whatever Gaia’s beings experience will greatly affect the entire planet. Much of humanity has forgotten that Gaia is a living being who has volunteered to be the “school for ascension” for your sector of space. Gaia, like yourselves, made promises while in the higher dimensions of reality without realizing how extremely difficult it would be to carry out those promises in the third-dimensional frequencies of the physical plane. Furthermore, these promises were made long before Gaia’s planetary frequency dropped so severely after the destruction of Atlantis. Because of this great destruction, Gaia’s resonance fell into the lower third dimension. Then, the forces of darkness could create a strong hold on Gaia’s planet. To assist dear Gaia, your galactic and celestial expressions of your selves volunteered to take a form on Her body in order to assist with raising Her frequency. Many of you took your first earth vessel at the fall of Atlantis, not realizing that you would need to continue re-incarnating on Gaia’s planet for the duration of her third-dimensional form. Dear Brave Ones, we the Galactics, Celestials and Ascended Masters who have guided you through your many incarnations, are happy to tell you that the Clarion Call will soon be sounded. The “Clarion Call” is a strongly expressed demand and/or request for action. In order to effectively answer this call to assist Gaia, those who can remember their Multidimensional SELF will join in peace and love. The forces of darkness have been very strong, but the “time” of the awakened ones to join is NOW. Gaia has waited long enough for those who have abused Her to find their inner Light. She can wait no longer, as it is the NOW. Within this NOW, Gaia must answer Her Clarion Call to return to the higher frequencies of Her planetary expression of SELF. The best way to assist Gaia is by uniting with the higher frequencies of your own Multidimensional SELF. Then you will able to perceive Gaia’s ever-expanding higher light to join Her in the glorious NOW of planetary expression. We must remind you, our dear ones wearing a human vessel, that you are NOT the vessel you are wearing. YOU are a magnificent multidimensional being who has volunteered to wear a vessel by implanting your consciousness into your human body. The seed of your Multidimensional SELF-has been lying in different stages of latency within the human form that you are currently wearing. Beloved volunteers, the Clarion Call has sounded within YOU. Hence, it is the NOW for you to fully awaken to the infinite wisdom, multi-dimensional power and unconditional love of your true, higher dimensional SELF. 1) Remember ALL of who YOU are. 3) Remember your many “rehearsal” lives. 4) Remember the Mission that YOU volunteered to fulfill. 5) Remember that your Mission begins NOW. This remembrance is not as difficult as it may seem, as your inner child will be of great assistance. Therefore, go into your subconscious to connect with your inner child who still remembers many of the versions of your Multidimensional SELF. With the help of your inner child, you can remember the games you played, the thoughts you had, and where your imagination took you. These remembrances are actually parallel and/or alternate lives that are all occurring within the NOW of the ONE. 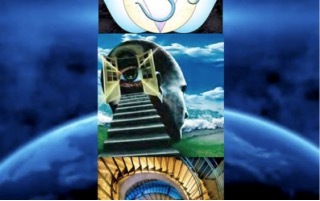 Once you can connect with these versions of your third-dimensional self, they will create a stairway leading to the higher expressions of your Multidimensional SELF. You see, you have taken many lives, some of them parallel lives or lives in slightly different frequencies in which you practiced for the NOW of personal and planetary ascension. Remember that YOU are your best friend. As you listen to, visualize and imagine your realities in the higher dimensions, you will gradually begin to hear, see and/or imagine a Galactic or Celestial being of Light who is now, and always has been, with you. You can ask your child for confirmation. What is worse, you were trained that you are “crazy” if you believed you are a being of light who has taken on an earth vessel. Be courageous, our dear away team. Ignore the outer voices and listen to your inner SELF. You are a beautiful multidimensional being who has volunteered to wear an earth vessel so that you can better serve Gaia in Her time of re-birth. Many of you came to Earth in response to Gaia’s call for assistance. What you may not have known when you volunteered to enter Gaia’s evolution is that you did so for the duration of Her process of ascension. Hence, you have lived many incarnations on the body of Gaia. You all took many “rehearsal lives” in preparation for this NOW of planetary ascension. Many of you are very impatient in your current life to “get on with the ascension.” Once you remember your rehearsal lives, the impatience of waiting one lifetime will be small compared to the many lives you have already spent in service to dear Gaia. Owning that YOU are your true SELF NOWis the key to unlock the door to remembering your mission. Again, you will put together the puzzle pieces of all the things you like to read, learned, watched and done. When you allow your self to remember that your “imagination” is actually fifth-dimensional thought, you can consciously listen and watch what you like to “imagine” that you are doing. This kind of imagination is a rehearsal of who you will actually BE and what you will actually DO. Hence, this “imagination” builds your confidence and empowers your mind. You will know when it is your NOW because you will find yourself actually doing and manifesting that which you once “only imagined”. Your imagination is how the creative right hemisphere of your brain communicates with the analytical left hemisphere of your brain. Your right brain carries the “blueprint” of your mission, and your left brain materializes that plan in your physical world. It is important that both of the hemispheres of your third-dimensional brain are in alignment with each other and with your Multidimensional Mind. We will take you through that process of alignment within your NOW. When you unite more and more with your higher expressions of SELF, time will become increasingly confusing, as you will begin to live in the NOW. Once you live within the NOW you will remember that your mission begins NOW. You will remember that time and space are only illusions of the third/fourth dimension. You will then extend your unconditional love into that reality to participate in that reality until you feel complete with that experience. Within that NOW you will withdraw your attention and send another gift of unconditional love, as you release all attachment to your involvement with that form component of your reality. Which reality do you choose to create? What reality are you creating NOW? If you wish to remain in your present expression of reality, send it unconditional love and thanksgiving. Unconditional love will align you with the highest frequency of any reality in which you are engaging. Also, Thanksgiving for the substance at hand will duplicate the substance indefinitely. “Blessings BE” means, “There are blessings to be experienced should you decide to accept them.” In this manner, you are not abandoning a person or situation. Instead, you are reminding the person that they already have the key to resolving whatever they are ready to release. Just as your Multidimensional SELF-allows you to resolve your own issues when you need to, you will allow others to go through their own process of discovery without emotion or judgment. Also, what may appear to you to be a grave mistake may be the only way in which that person will go inside to find his or her own Multidimensional SELF. Our dear ascending ones, we see the strength inside of you that you may have forgotten. Turn around inside your mind to see the magnificent YOU that lives inside your earth vessel. YOU are your Multidimensional SELF. YOU are the Stairway of Unity Consciousness! Thank you to bring back this lovely message dear Sue and Galactic Family!!! I love you all!! Blessings! !